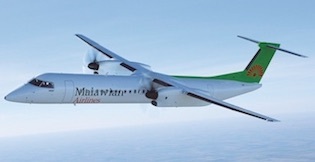 5H-TCB DHC-8-400 DH8D 78 1026 0 - Download! 5H-TCG B787-800 B788 234 19934 16:06:00.000000 2 EDDF-Frankfurt Airport Download! 5Y-CYB B737-800W B738 145 7923 393:15:00.000000 181 HKMO-Mombasa Download! 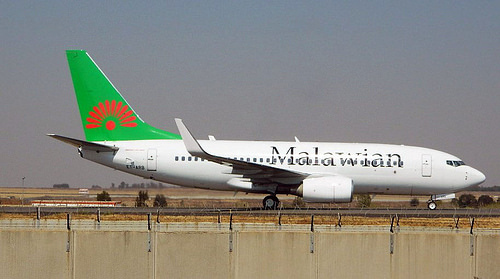 5Y-CYE B737-800W B738 145 7923 65:26:24.000000 35 FWKI-Kamuzu International Airport Download! 5Y-FFB E190-100AR E190 96 0 81:48:00.000000 46 HKJK-Jomo Kenyatta International Airport Download! 5Y-FFX B777-300ER B77W 400 65674 157:51:36.000000 27 HKJK-Jomo Kenyatta International Airport Download! 5Y-FOA B777-200LR B77L 301 54376 536:26:24.000000 71 HKJK-Jomo Kenyatta International Airport Download! 5Y-FOB B777-200LR B77L 301 54376 384:36:36.000000 49 HKJK-Jomo Kenyatta International Airport Download! 5Y-FOC B777-200LR B77L 301 54376 191:12:36.000000 30 HKJK-Jomo Kenyatta International Airport Download! 5Y-FOD B777-200LR B77L 301 54376 222:46:12.000000 30 HKJK-Jomo Kenyatta International Airport Download! 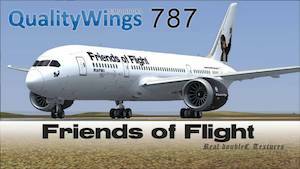 5Y-FOF B787-800 B788 236 0 24:17:24.000000 9 FAOR-Oliver Reginald Tambo International Download! 5Y-FOG E190-100AR E190 96 0 108:59:24.000000 95 HTKJ-Kilimanjaro International Airport Download! 5Y-FOO B737-800W B738 145 7000 665:27:00.000000 282 HKJK-Jomo Kenyatta International Airport Download! 5Y-FOP B737-800W B738 145 7000 130:52:48.000000 60 HKJK-Jomo Kenyatta International Airport Download! 5Y-FOQ B737-800W B738 145 7000 222:45:00.000000 75 HKJK-Jomo Kenyatta International Airport Download! 5Y-FOR B737-800W B738 145 7000 209:10:48.000000 72 HKJK-Jomo Kenyatta International Airport Download! 5Y-FOS B737-800W B738 145 7000 279:37:12.000000 95 HKJK-Jomo Kenyatta International Airport Download! 5Y-FOT B737-800W B738 145 7000 87:04:12.000000 43 FZIC-Bangoka International Airport Download! 5Y-FOU B737-700W B737 116 5497 392:44:24.000000 189 HKJK-Jomo Kenyatta International Airport Download! 5Y-FOV B737-700W B737 116 5497 50:29:24.000000 49 HKMO-Mombasa Download! 5Y-FOW B737-800W B738 145 7000 437:40:48.000000 190 FAOR-Oliver Reginald Tambo International Download! 5Y-KYP E190-100AR E190 96 0 43:06:00.000000 29 HKMO-Mombasa Download! 5Y-KZA B787-800 B788 234 19934 30:24:00.000000 5 HKJK-Jomo Kenyatta International Airport Download! 5Y-MDE B777F B77F 301 106685 559:23:24.000000 79 HKJK-Jomo Kenyatta International Airport Download! 5Y-MDF B777F B77F 301 106685 269:48:36.000000 55 HKJK-Jomo Kenyatta International Airport Download! 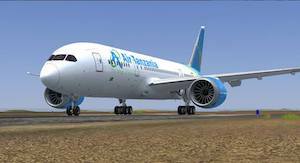 5Y-MDG B777F B77F 301 106685 216:43:48.000000 42 FWKI-Kamuzu International Airport Download! 5Y-QUE DHC-8-400 DH8D 78 1026 21:12:36.000000 32 HKJK-Jomo Kenyatta International Airport Download! 5Y-SMO F50-100 F50 50 6080 0 - Download! 5Y-TLA B767-300ER B763 219 40000 132:25:48.000000 25 HKJK-Jomo Kenyatta International Airport Download! 5Y-TLB B767-300ER B763 219 40000 137:54:00.000000 50 FAOR-Oliver Reginald Tambo International Download! 5Y-VVI DHC-8-400 DH8D 76 0 07:19:12.000000 6 HCMM-Mogadishu Download! 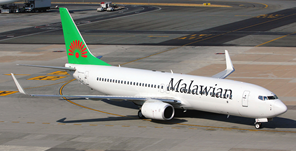 ET-APL B737-800W B738 145 7000 107:00:36.000000 66 FWKI-Kamuzu International Airport Download! ET-AQB DHC-8-400 DH8D 76 1026 21:09:36.000000 17 FWCL-Chileka International Airport Download! ET-ARB B737-700W B737 116 5497 202:28:12.000000 141 FWCL-Chileka International Airport Download!